The skyline track is seriously cool ride across the ridge from Johnsonville all the way to the coast at Owhiro Bay. 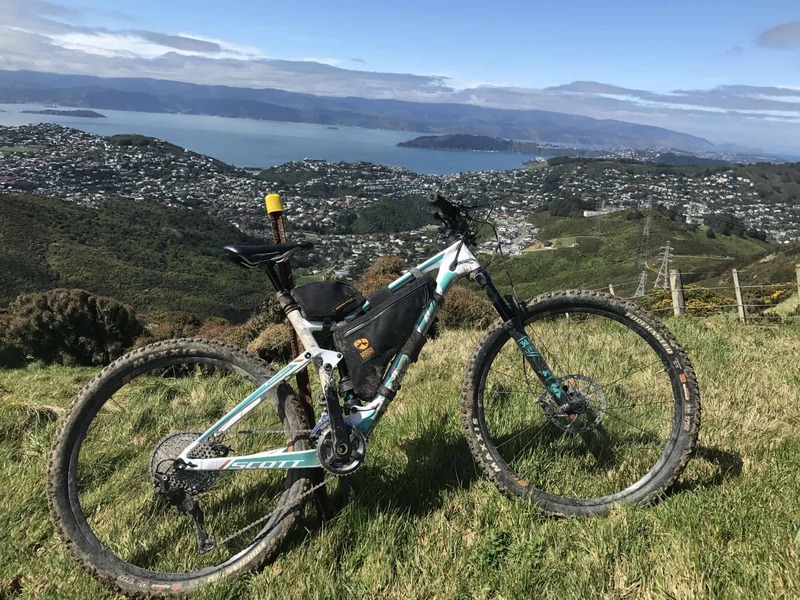 It takes in Mt Kaukau, Makara Peak, Wrights Hill and some of the best views of Wellington as you go. 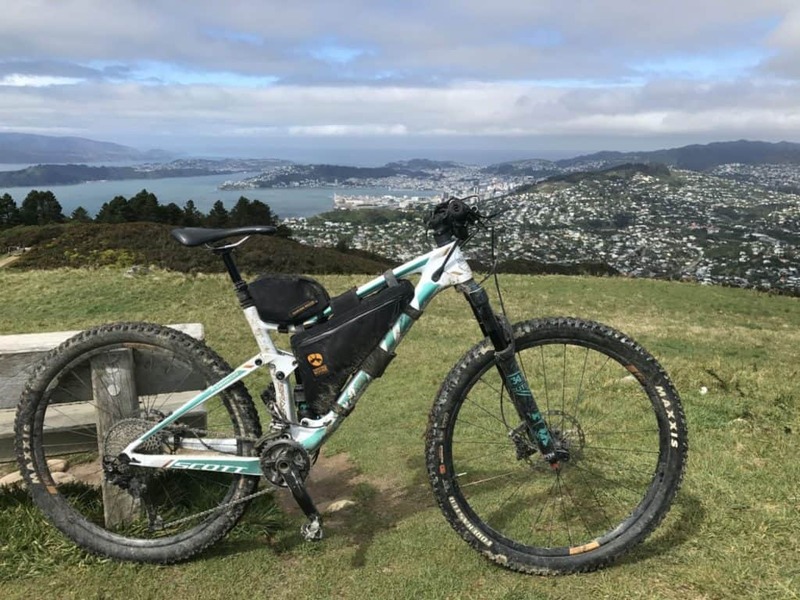 You can ride the whole thing up to 36Km end to end or do sections of it or like I did ride the section to Makara Peak and then enjoy the trails in this area. I joined the trail up at Sirsi Terrace after parking my car near Johnsonville Train station. I think next time I would start at McLintock Street instead though as the trail up to the Skyline Track was rather viciously steep!! The skyline is a multi-use track and in some places is farm track/4×4 and others single track. 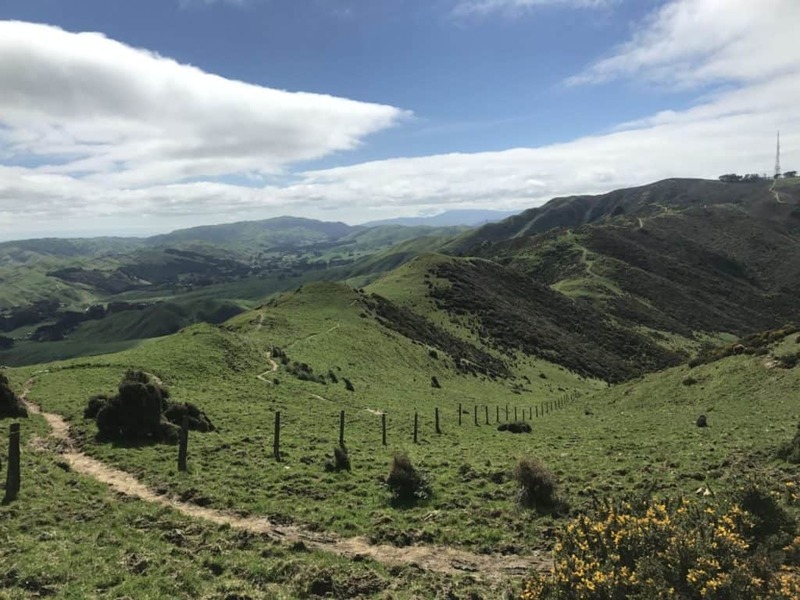 It goes through farmland mostly and is quite exposed in many places in terms of the famous Wellington wind and if there was bad weather. Luckily for me the sun was shining and there wasn’t much wind at all. It was perfect conditions for awesome views and enjoyable riding! The top of Mt Kaukau was my first view stop. The view from the lookout platform was unbeatable! Wellington City and the harbour sprawled out in the sunshine. There is a massive mobile/tv aerial up here. It’s a good gauge later to see where you’ve been! From here there is a cool little downhill section and you see the trail ahead on the ridge line. I got that feeling of excitement when you’re about to embark on a new adventure. This was going to be a good day! Some of the sections are narrow and a little technical. And because it’s on farmland you have to avoid the cow poo landmines! Off to the West a windfarm breaks the skyline. This ride is full of beautiful views with the added addition of man made structures making them more interesting. The city and harbour on one side, farmland and windfarms to the other. After about 7Km odd I reached the top of the Crow’s Nest – the next peak along the ridge. Not too much of a climb. From here I took a moment to look back and check out where I’d come from. That aerial on Kaukau Peak becoming a little smaller as I go. This ride really feels like a even mix of ups and downs. Nothing too long or vicious. It makes it even more enjoyable! The trail continues to snake around the side and on top of the ridge. At one point I met with two very large bullocks (young male cows!) and had to do some strategic maneuvers to ensure that they looked up from their grazing and moved off the track! Best take care if you see these guys along the way! These two were friendly but you never know. 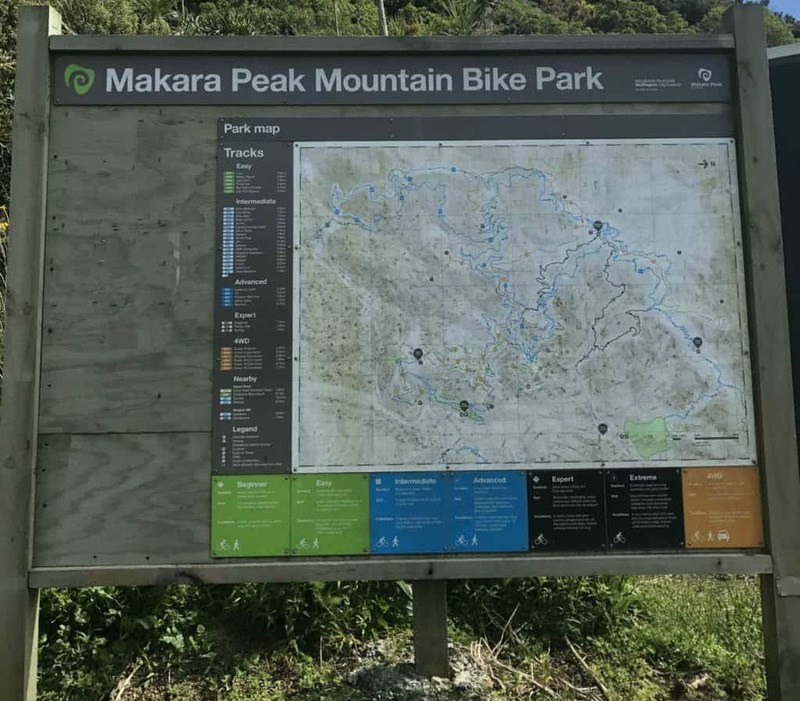 After around 11Km the trail drops down to the Makara Road, crossing this I then rode up Varley’s to get to the top of Makara Peak. Varley’s is a good old climb, lots of switch backs but a manageable gradient. 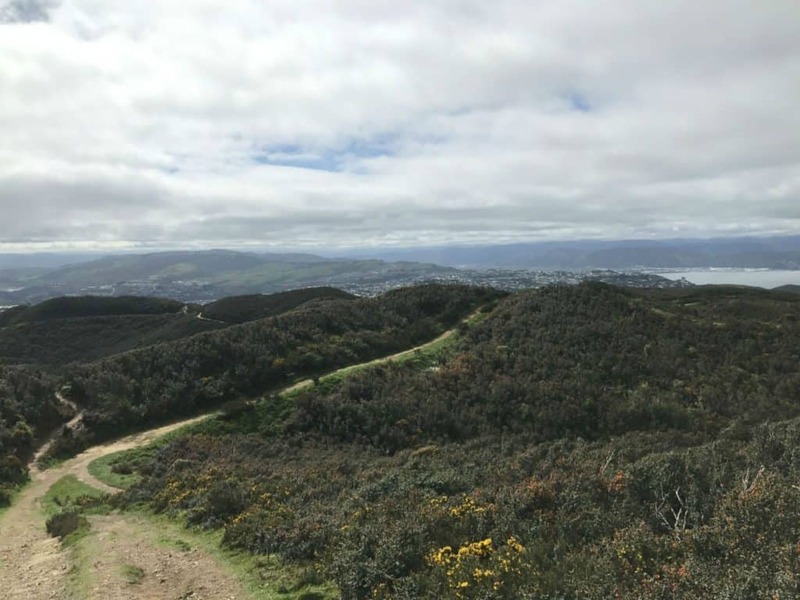 The peak stands at 412m and continues the theme of great views of Wellington! 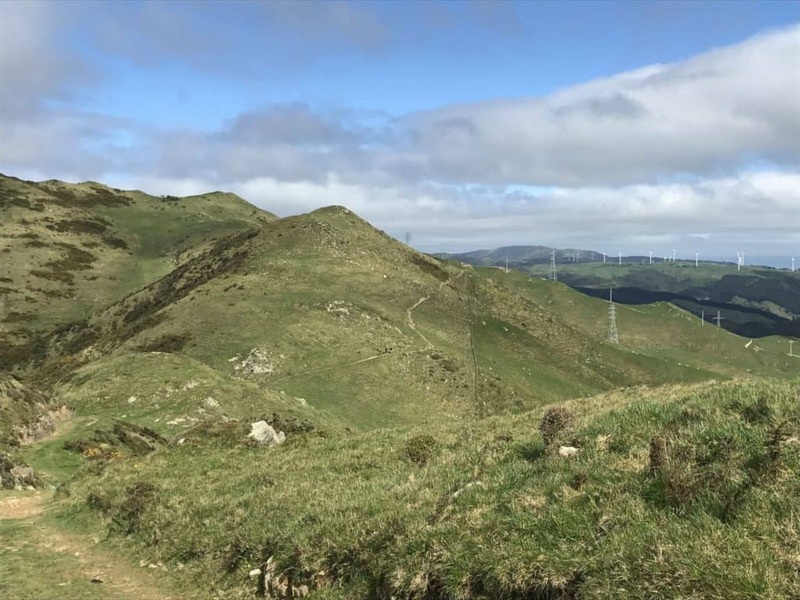 Makara Peak is an excellent and vast track network that spreads out from the peak in the surrounding bush. It’s very accessible from Wellington City (only 7 Km) and has trails of various grades. From Makara Peak, I rode into Wellington Centre. I had the last ‘off peak’ train to catch back to Johnsonville at 3.40pm and I was only just going to make it, so I had to ride pretty hard into town. But the ride was easy and I rolled on into Wellington Railway Station with a couple of minutes to go! Taking the bike on the train is no problem (as long as it’s off peak!) 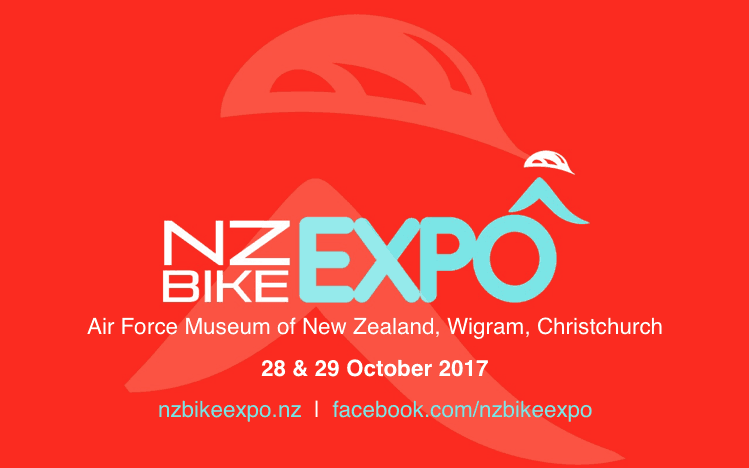 and I even got to chat to another biker on the way back about how awesome Wellington Mountain Biking is! 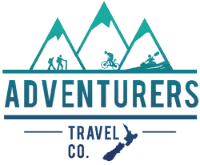 If you’d like to do some mountain biking in Wellington, get in touch with Adventurers and we can organise a custom itinerary for you.